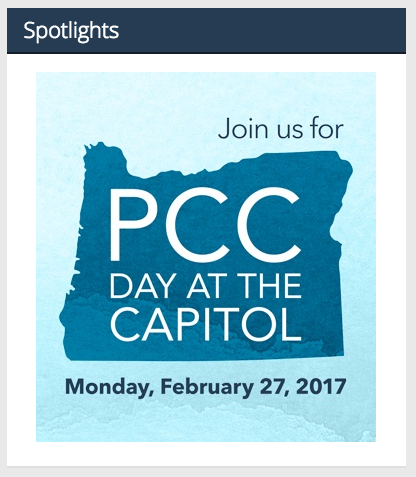 The Spotlights section of the homepage highlights PCC websites related to upcoming featured events, current campaigns and marketing efforts. The images are attention-getting, attractive, and come from Marketing and Communications. 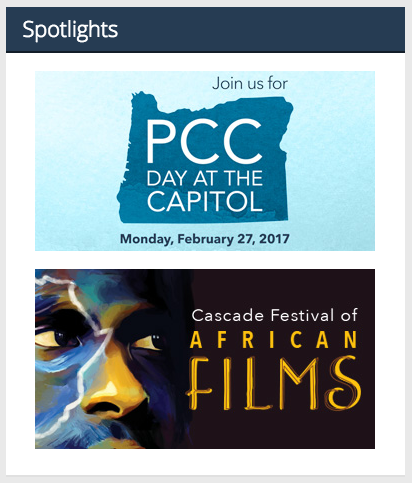 The Web Team adds spotlights to the page manually. This space allows for images that contain limited text and link to a related website. Marketing and Communications typically provides the images. There can be one full-size or two half-size spotlights.